Be always ready by eliminating vulnerabilities early. 95% of all damaging cyber attacks are the result of exploiting well-known vulnerabilities. However, the vulnerability assessment and remediation process is sometimes overlooked as a critical component of sound security practices. Hitachi Systems Security’s Vulnerability Assessments identify the key information assets of your organization, determine the vulnerabilities that threaten the security of those assets, provide recommendations to strengthen your security posture and help mitigate risk, thereby allowing you to focus your IT resources more effectively. Our ArkAngel risk management platform maintains an up-to-date database and includes thousands of known vulnerabilities. Through the ArkAngel customer portal, you can see the threat levels in your network and learn how to fix them. For more advanced threat levels, our team of security experts will provide threat remediation assistance in the most effective way possible. The ArkAngel risk management platform is continually updated with releases of newly identified vulnerabilities. While updates are automatically applied, ArkAngel checks for updates every time it runs a vulnerability scan to make sure that you are ready to defend your network against the latest threats. ArkAngel provides you with a set of predefined reports and gives you the flexibility of creating your own, customized reports. Reports vary from executive-level to detailed technical reports, providing your organization with different perspectives that may be relevant to your users. 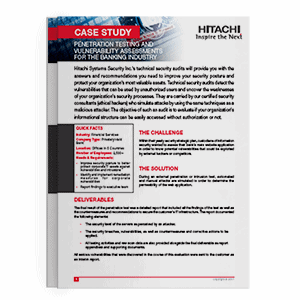 Our security posture and trend analysis reports will provide you with a clear view of your network’s security evolution over time. Regular Vulnerability Assessments demonstrate due diligence and are an important component of an organization’s overall risk management strategy. Ensure compliance with customer and shareholder requirements, regulations and standards. We can help you comply with major regulations such as SOX, PCI, NERC/ CIP, SAS70/SSAE16, PCI-DSS, ISO and more. Discover previously unknown network inventory through a vulnerability assessment and determine remediation options. Obtain an inventory of vulnerabilities detected as well as comprehensive and prioritized recommendations for each detected vulnerability. Ensure proactive risk management, improve compliance with regulatory initiatives and gain a deeper knowledge of your potential problems.